Shannon Dunne is a sean-nós/set dancer living in Silver Spring, MD. 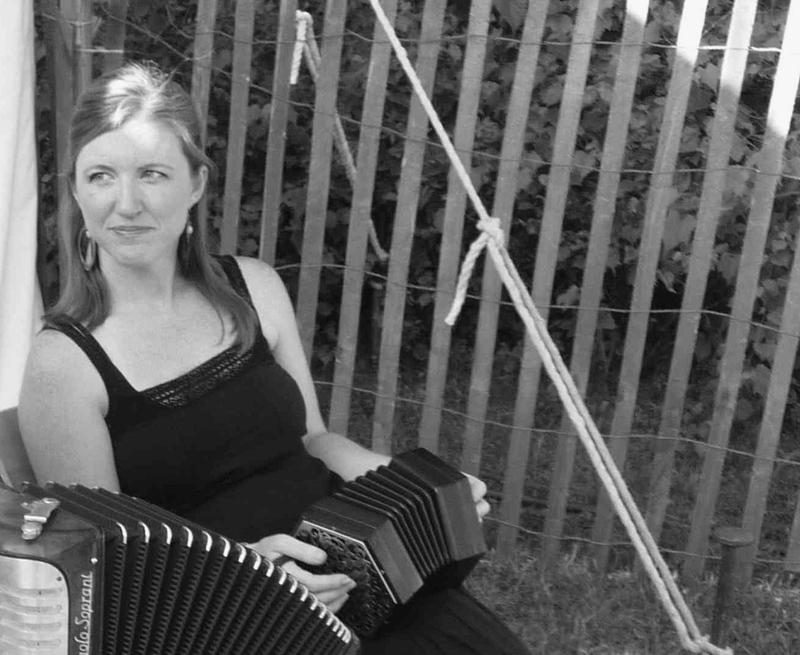 Her dancing has been described as "Playful musicality...spirited and fun!" (Washington Post) Shannon has performed theaters and festivals all over North America, Ireland and the UK, including: the Kennedy Center's Millenium Stage, Symphony Space (NYC), The Birchmere (VA), Comhaltas Ceoltori Eirann North American Convention, ICONS Festival (Boston), Saline Celic Festival (MI), the University of Milwaulkee Sean-nós Festival (WI), Choilin Sean Dharach Festival (Ireland), Brennan's (Nova Scotia), Greyfox Music Festival (NY), the Institute of Musical Traditions (MD), the Rams Head (MD), Potomac Celtic Festival (VA) and the Mainstay (MD). She has studied Connemara sean-nós dance (through funding by the DCCAH) with Paidraic O'Hoibicin, Roisin NiMhanin, Mick Mulkerrin & Mairead Casey, Clare battering with Aidan Vaughan,and Muenster (old-style) step dance with Patrick O'Dea. She also studied flatfooting/clogging with Eileen Carson, Megan Downes and Christine Galante. Shannon is the recipient of many awards and honors, including the 2008 Dance Fellowship and multiple Folk Arts Grants from the DC Commission on the Arts and Humanities. She has appeared onstage with well known Irish music acts (Solas, Flook, Teetotalers, Karan Casey) and toured with Childsplay, the Hot Seats, Kitchen Quartet, The Wren Girls: American Women in Sean-nós Dance, and was a principal dancer and choreographer for Footworks Percussive Dance Ensemble from 2007-2010. Her book, Sean-nós Reels: A Guide, was released in 2013.